Marine Closure Fabrication BRT maintains a large stock of watertight doors and standard size hatches. Custom size hatches, doors and scuttles available with quick lead time. Marine Windows and Doors Well recognized window and door supplier for both Military and Commercial Marine applications. Excellent quality at competitive prices. BRT stocks some wipers, portlights, and windows. 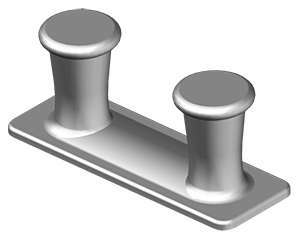 Aluminum Marine Closures We stock a wide range of premium Freeman Marine Hatches and Doors. Call us. Your first choice for winching solutions. Winches and Cranes A wide range of winches and cranes are available from stock. Winches and cranes designed for custom applications are also available. Boo and Tee see a leettle green creature. Pierre and Boudreaux were on a weekend hunt when de witnessed a UFO landing. Ad de leettle green creatures descended from de craft Pierre said, "Mais what's dat?" Boudreaux answered, as he aimed his gun: "I don't know, Pierre. But you better go back to the camp and put some rice on.